We start off with a song that is famous as the face of the US Civil Rights Movement, We Shall Overcome. As is the case with most folk songs, the origins of this song are also majorly murky. Originating from the gospel traditions of both blacks and whites in the late 1800s, the first appearance of We Will Overcome in print was in 1901 and is attributed to Rev. Charles Tindley of Philadelphia, a man credited to composing over 50 hymns and lyrics. A more recent development of the song began in 1946 when Lucille Simmons, on strike against the American Tobacco Company, sang a slow version of We Will Overcome on a picket line. From here it passed on to folk singer Pete Seeger, famous as founder of The Almanac Singers and later The Weavers. 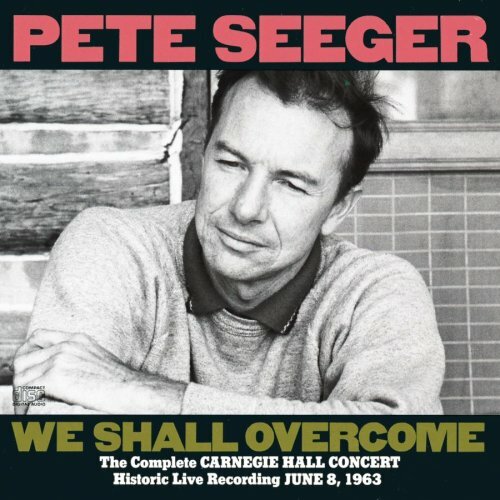 Pete claims to have changed the lyric from We Will to We Shall, and also added some other verses. Subsequently the song was taken up as the anthem of the Civil Rights Movement. Another folk singer, Joan Baez, helped bring the song to a wider audience through her participation in marches and most importantly the 1969 Woodstock festival (The same Joan Baez whose rendition of Blowin’ In The Wind features in Forrest Gump). Lyndon Johnson used the phrase in his address of Congress on March 15, 1965 after attacks on Civil Rights activists. Martin Luther King Jr. used the phrase in his last speech before assassination. In India the song or rather the tune gained mileage when Hum Honge Kaamyaab, a Hindi translation of the song by renowned poet Girija Kumar Mathur became popular, particularly in schools. School-goers from the 80s would invariably have sung this song on some occasion or the other! The song also started making lot of appearances in popular culture. One prominent instance that I can recollect is the cult comedy Jaane Bhi Do Yaaro. A Bengali translation was also made, by Bengali folk singer Hemanga Biswas and later re-recorded by Bhupen Hazarika, by the name Amra Karbo Joy. More recently in 2006, Bruce Springsteen released an album We Shall Overcome: The Seeger Sessions which featured his version of the song among other 14 songs by Pete Seeger. The album also notched up that year’s Grammy for the Best Traditional Folk Album. One might think that over time the song is slowly being forgotten, but that is hardly the case as can be seen from the way banners featuring “We Have Overcome” were raised when Obama got elected. There could hardly have been an expression better describing such a historic occasion! Over the years, We Shall Overcome, in short, has remained just that – a non-belligerent expression of suffering and determination. Check out the videos below and I am sure you would find the song still capable of giving you that feeling of elation and inspiration. And on the eve of the Independence Day, that is indeed one feeling that you should be having.